Blitz: League, Ballers, SlugFest, MK: Deception Back Online! After quite a bit of tweaking by FreddY, Favrenation and CHC, the following Midway games are now back online for PS2! The online servers for all of these games remain online, maintained by GameSpy. Somewhere along the line, it seems that Midway had GameSpy remove in-game lobby rooms/chat services for all of their online games, which are required for online play. What we have done is restored these peer chat services for all of these games so that players are seamlessly able to connect to them online! Special thanks to FreddY, Favrenation and CHC for re-enabling online play for Midway online games for PS2. 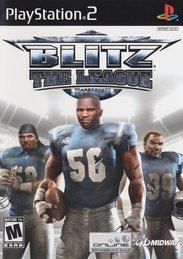 For those that don't own it, Blitz: The League is $2.99 used at GameStop. It's all about the chromed-out cars, jewelry, ladies, tattoos, and jets in NBA Ballers, the basketball game that highlights both the one-on-one confrontation and the glamorous lifestyle of NBA superstars. Choose from current and legendary NBA players, such as Tracy McGrady, Chris Webber, Magic Johnson, and Wilt Chamberlain, and face-off in some lavish player home courts. Although the game focuses on the one-on-one experience, you can also play in one-on-three and special-rules matches. After the tournaments, spend your winnings on anything from licensed cars to expensive mansions. 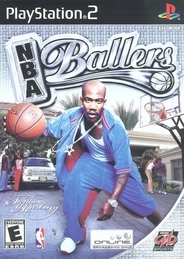 For those that don't own it, NBA Ballers is $0.99 used at GameStop. Here it is...The NBA Finals in sunny Los Angeles, California. It's time for all the unknowns from around the world to step on the court and get noticed by the right people. From scouts and coaches to casting directors, everyone is looking for the next "phenom." You have one week to check out the city and prove that you're the one everyone is looking for. Take the trophy in unique basketball tournaments, customize your style to get all the eyes on you, and interact with the local scene. By the end of the week, you could be the #1 draft pick of the NBA or on your way to your own entertainment empire. Have you got the skills to prove you belong at the top? 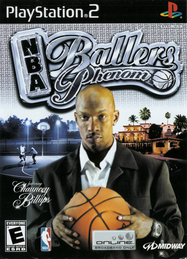 For those that don't own it, NBA Ballers: Phenom is $1.99 used at GameStop. The MLB SlugFest series reloads its latest installment with more beanballs, hard tags, and over-the-top animations. All your favorite baseball players now have powers to run at turbo speed, make impossible catches, and survive hard collisions. This time, you can review diving catches or home-run scoreboard smashes through a customizable instant-replay feature. And for the first time in the series, the PlayStation 2 and Xbox Live users can take their players and teams online--complete with headset support. 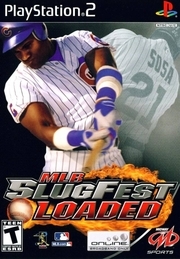 For those that don't own it, MLB SlugFest: Loaded is $0.99 used at GameStop. 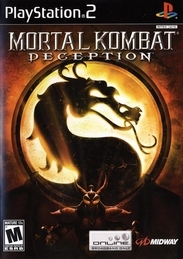 For those that don't own it, Mortal Kombat: Deception is $4.99 used at GameStop.